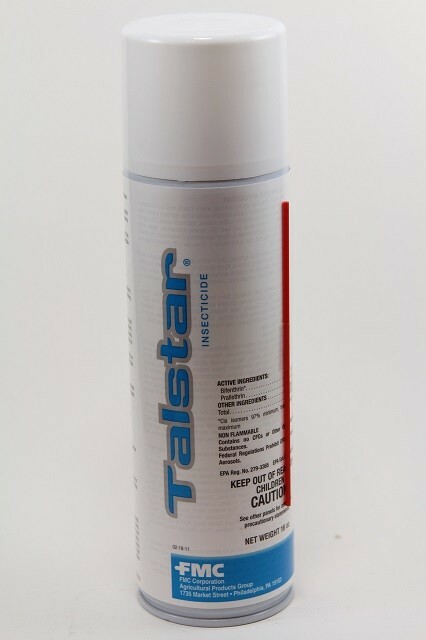 PRODUCT DESCRIPTION: Talstar is now available in a convenient aerosol can. New Talstar Insecticide Aerosol has the powerful pest-fighting power of Talstar Insecticide with a long-lasting residual. Just like the Talstar liquid concentrate, Talstar Aerosol delivers fast and effective knockdown of over 75 common household pests including ants, spiders, roaches, centipedes, bed bugs, silverfish, beetles and more. Talstar Aerosol is non-flammable and water-based and is approved for use in homes, businesses and food areas and non-food areas of food handling establishments. Perfect for indoor and outdoor perimeter applications. Perfect for indoor and outdoor perimeter applications. I have a question about the Talstar aerosol…Can it be used without the crack and crevice wand? Does it work as an aerosol without using the wand?? Just curious..Sounds like this is what I need but I don't know that I want to deal with the wand..thanks so much!! If you have a crack or crevice where pests might be hiding, the straw wand will definitely help and should be used. It directs the spray to a fine pin stream which you can get right where you want it to go. This type of treatment fall under the "crack and crevice" sections of the label. But if you have large surfaces to cover, "spot spraying" is what you'll do and for this type of treating, the straw is not needed. If you use WD-40 then you already know what to expect because its pretty much the same. When buying WD-40 these days, the can has a straw attached to its side but you do not have to use it. Same here. Thanks so much for your prompt reply!! Tells me a lot about your company!! Thanks again! !